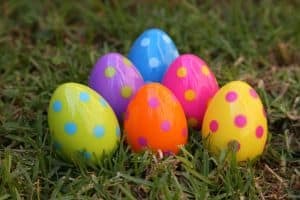 I’m sure I’m not the only parent that is unhappy with the amount of chocolate, sweets and eggs our children received over the Easter period. Roo has never been that keen on Easter eggs, she will sometimes munch whatever sweet comes with it but then leaves the egg. Last year I finally used the last egg to make rice krispie cakes in September! I don’t believe that they do, I think that they would much prefer receiving a little Easter present instead. In light of this, I am going to be bringing you ideas over the next week or so great alternatives to buying another Easter Egg. I’m hoping to share with you options to suit every pocket.